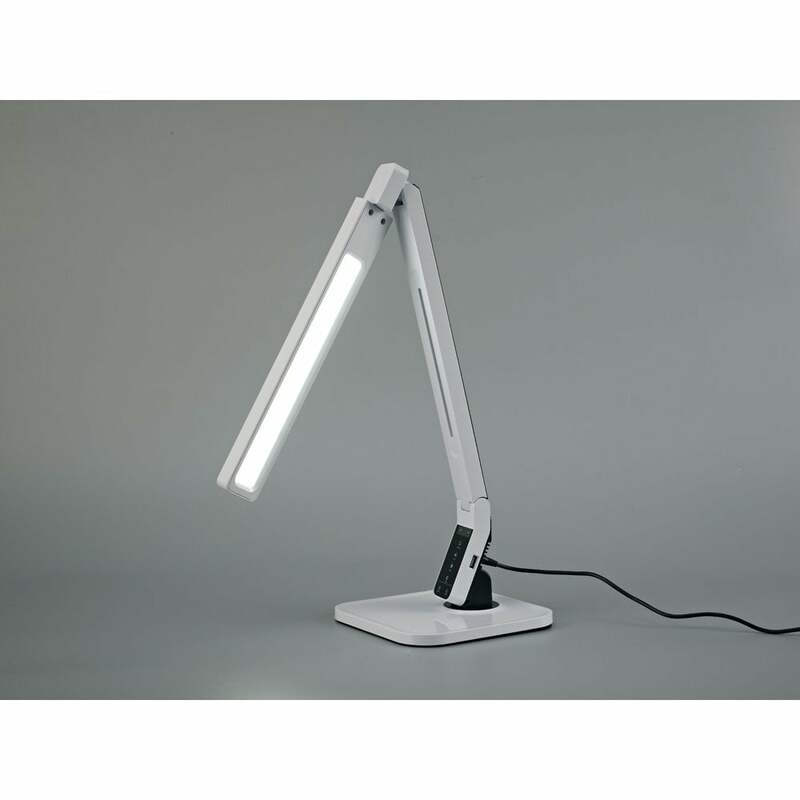 Deco Lido LED table lamp features a rectangular base plate with a slimline white framework which has two hinge points, the first near the base that allows the arm to be moved forward to extend the length, the second is between the stem and LED head which can pivot fully to change the direction of the light. This an innovative design has a variation of special features. The integrated LED has four temperature settings 3300K, 4200K, 5300K and 6200K which are controlled by black buttons located just above the base. Beside these controls is a useful standard USB charging port, which makes this an ideal and versatile lighting accessory. Double insulated and operated by a touch 4 stage dimmer. A wide range of LED table lamps can be viewed on our website.